Each of our concepts combines aesthetic and functional needs. No design is like the other. BERLINRODEO develops comprehensive room concepts. Our plans, drawings and presentations form scale from the original to be realized. 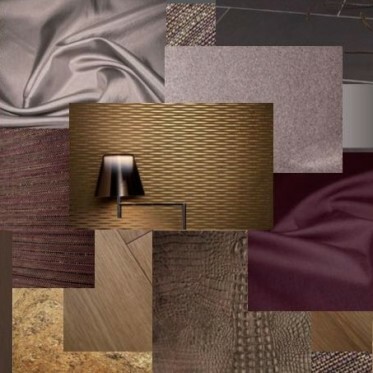 Digital moodboards present the related products and materials. The designs of our designers and architects are visualized in elaborate CAD / 3D processes. Our room solutions are precisely drafted and enable the creation of a later implementation planning. A interior concept of BERLINRODEO include floor plan plans and visualizations, as well as digital mood boards with material, product and color collages. Upon request, we also take care of individual pattern pieces as well as the early integration of art and lighting design. 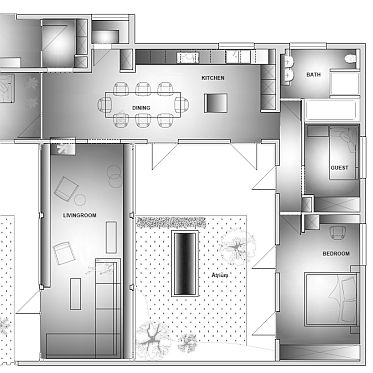 The floor plan contains functionality, space allocation and routing of your premises. It is the start of planning your rooms and their furnishings. Our moodboards convey atmosphere, mood and materiality of a draft; essential aspects that are just awkward to represent verbally or in frames. 3D visualizations are a valuable decision tool. They will show you unique details of our interior design planning. We offer the following services: Private interior-, office-, retail- and medical health clinic design. Moreover BERLINRODEO offers other services: Set design, personal shopping, home staging, visual merchandising, room fittings. Relocating to Berlin, Germanys’ buzzing capital? We advise you on all questions that may arise in connection to your move to Berlin. We counsel you when it comes to choose the district of Berlin that best fits your needs. We can help you find your new home. Organizing the paper work and dealing with the local authorities is very time-consuming in Germany. We will help you with words and deeds. We recommend craftsmen and coordinate refurbishment. Do not do all the work by yourself, save some of your precious time. Only our soul makes us unique, distinctive and imperishable. Surely you already have entered a room where you immediately felt home, without being able to explain exactly why. Who wouldn’t want to have such a room for itself? It’s the individual and personal soul of a room. It’s human to settle down to live as one likes. We like to make your dream rooms come real. Explore yourself, explore your visions: classic, timeless, luxurious, modern, surprising or just different. Visions are also called daydreaming, dreamed by people we call visionaries. Visionaries are people who are ahead of time. We invite you to be a visionary and want you to dicover your desires, ideas and goals that we like to realize with you. Rooms affect our mood, they can act wide or cramped, harmonious or repellent, inspiring or monotonous. An empty space unfolds in the form in which it is designed. Our goal is to explore with you the possibilities of your rooms and bring a positive advantage to its distinctive character . An intensive analysis and optimum utilization with the specifics of your rooms will give you more than just interior design: room to breathe, think and relax. You’ve already fallen in love with us? Get in touch!